A Bradford garden centre is collaborating with a fellow West Yorkshire business to bring wonder to its popular Christmas Grotto. 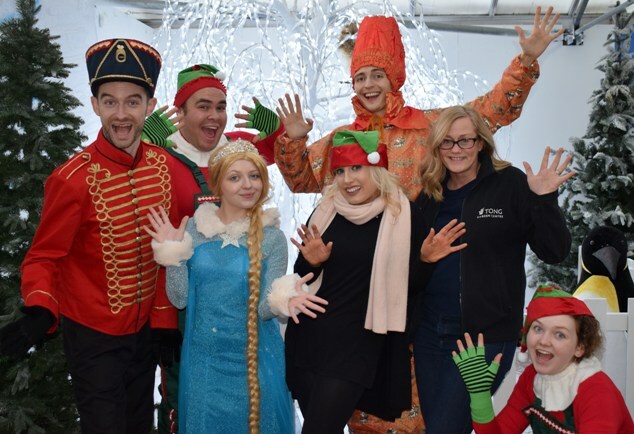 Tong Garden Centre has called on the expertise of a team of performers at Leeds based Sneaky Experience to bring their new Grotto to life for the third time. The Grotto opens on Saturday November and the Sneaky team will entertain children (and grown-ups) throughout the 30 minute interactive experience that gives unlimited back stage access on a magical Arctic journey to see Santa. This is a dream job for Sneaky Experience with many of our team growing up right here in Yorkshire and experiencing the magic of Christmas at Tong Garden Centre. The grotto experience just goes from strength to strength and we’re so proud to be part of it.” Says Julia Benfield, director at Sneaky Experience. Tickets for the Grotto cost £12.50 for children and £6.25 for under ones, with up to two free adult tickets for every child ticket bought. The entry cost includes a unique backstage pass that gives access to Santa’s Toy Shop for a gift. In addition to the Grotto, the new for 2018 pop-up Polar Bear Café will be serving speciality hot chocolate, mugs of soup, hot dogs, sharing ice creams and slushies.